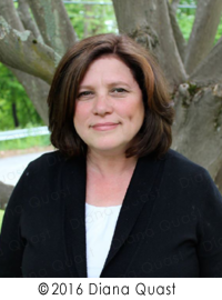 Town Clerk Diana L. Quast is a NYS Registered Municipal Clerk and an International Municipal Certified Clerk.The Town Clerk’s Office serves as the hub of the community by providing the public with information both in person and over the telephone. Please feel free to contact the Town Clerk’s Office with any questions you may have. Let the Town Clerk Come to You! In an effort to make some of the Town Clerk’s services more accessible to residents, the Town Clerk’s Mobile Office travels to various locations offering their time and services to residents in locations including, but not limited to: Albert A. Capellini Community and Cultural Center (Feb 6 & 20, 11am–1pm) and Jefferson Village Community Center (Feb 11 & 25, 1–3pm). Dates and hours of the mobile office may be obtained any time by calling (914) 962-5722, ext. 209. New York State marriage licenses may be obtained from the Town Clerk’s office and can be used anywhere in the State of New York. A couple must apply for their license in person at least 24 hours before their ceremony is to take place; the license is valid for 60 days thereafter. A certified copy of your Birth or Baptismal Certificate is needed upon submission of your application. You must present picture identification (Driver’s License or Passport). If there are any previous marriages which ended in divorce, certified court papers must be presented when applying for the Marriage License. Note: If any of the documents listed are not written in English, the document must be translated by a certified translator. A number of translation services are listed in the yellow pages. If any previous marriages ended in death, a certified death certificate must be presented when applying for the Marriage License. Marriage License fee is $40.00. Every dog in New York State that is more than 4 months old must be licensed. A current rabies vaccination must be included when applying for a dog license and/or renewal. Click here to download a Dog License permit application.